Chopra, Mallika. Living With Intent: My Somewhat Messy Journey To Purpose, Peace And Joy. NY: Harmony Books. 2015. Sharing her many shortcomings as well as her busy life, author Mallika Chopra allows glimpses into the journey of finding peace, purpose and joy. Living intently, overcoming the guilt, taking time for herself, practicing her faith and embracing God, she finds the balance necessary to achieve happiness on many levels. With her path to intent (Incubate, Notice, Trust, Express, Nurture and Take Action), Mallika Chopra learned to listen, accept, act and enjoy. 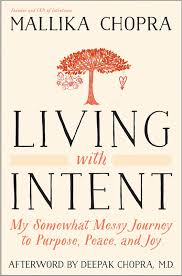 Recently having heard the concept of “intention” in yoga class, I was intrigued by this book. Not sure what I would find, I discovered a woman struggling (busy, hectic, chaotic, rushed) but willing to change it. Through reading this book, I’ve gained that intent is on many levels and encompasses several areas while being achieved in different ways (meditation, relaxation, peacefulness, exercise, healthy eating) and is personal to each. It starts with taking care of yourself through time and compassion yet extends outward to serving. I appreciated the author’s mantra of “With God’s help, I can do this” and then she put one foot in front of the other to begin. Surprisingly, I enjoyed this book and plan to return to it as well as share it. This entry was posted in Christian Books, Healthy Lifestyle and tagged Christian, Christian Author, Christian Book Review, Christian Contemporary, Deepak Chopra, Devotional, Healthy Lifestyle, Inspirational, Intent.com, Intention, Living With Intent, Mallika Chopra by Savurbks. Bookmark the permalink. Thanks! I will try to get a copy of this book. 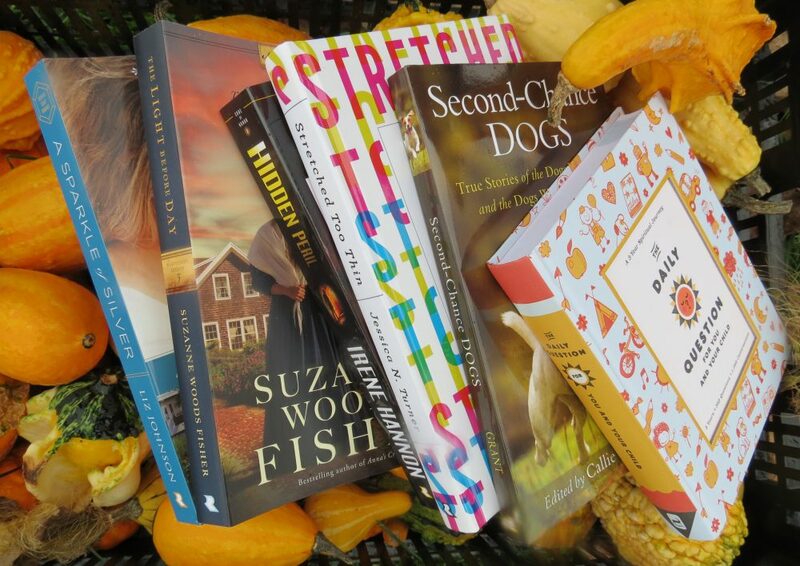 It looks good, especially since it is about an author and how she makes her life more intentional. It is a very good book which I am sure you will enjoy…let me know your thoughts should you decide to read it! Thanks!